Recently we ran into an issue where we were getting issues with Conversation ID in SOA .Since we are not directly involved in generating the Conversation ID it was something we had not expected. 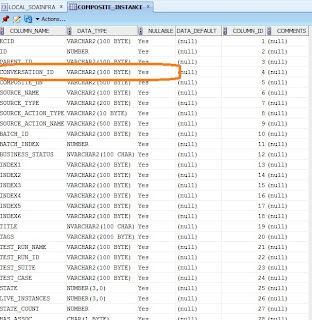 So one of the learning’s that we got out of this issue was that the payload data was also being used to create the conversation Id’s. In our case we were having a composite primary key which was a collection of 4 to 5 columns. There was a DB Adapter polling these records. The error message was thrown not from the process but from the SOA engine. Since it was to do with SOAINFRA tables we had a look at the SOAINFRA COMPOSITE_INSTANCE table. The CONVERSATION_IS column was of 100 char. 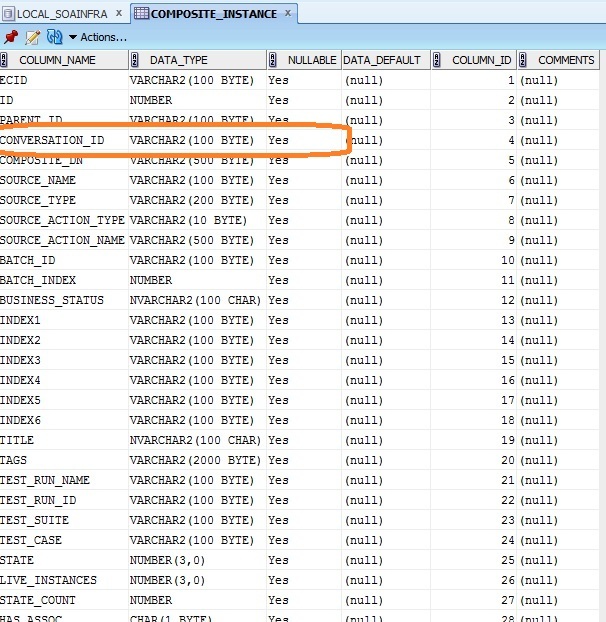 The issue was coming because the SOA engine used the primary key values from polled records and concatenated them to a unique Id to make the conversation ID. Thanks for the post. I encountered same issue and looks like I need find other ways of getting data into my bpel process instead of polling.